Hula Hali Granola is made with aloha on the Big Island of Hawai'i. Each batch is handmade with care using only the finest tropical ingredients. Several of these ingredients are organic and several more are grown locally. The result is a truly unique Hawaiian gourmet taste bud experience. Sweetened with either Hawaiian Lehua honey or agave nectar (a sweetener derived from a variety of cactus that has dietary benefits for diabetics, hypoglycemics and vegans) and baked to perfection, Hula Hali granola is a luscious treat that is also healthy! It can be enjoyed in a number of ways: try it right out of the bag as a trail mix, with a bit of dairy or soy milk as a breakfast cereal, as topping for yogurt or ice cream...the possibilities are limitless. 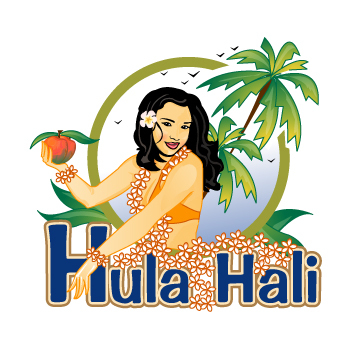 Add a little aloha to your diet with Hula Hali Tropical Gourmet Granola.